Representative Cynthia Thielen has served the 50th District (Kailua, Kaneohe Bay) in the Hawai‘i State Legislature since 1990 and is the Assistant Minority Floor Leader. She is a ranking member of the Energy & Environmental Protection, the Judiciary, and Water & Land Committees. She is also a member of the Ocean, Marine Resources & Hawaiian Affairs Committee. Representative Thielen is a tireless advocate for the environment as well as renewable energy and recently co-sponsored legislation which enables the State to aggressively pursue the goals set forth in the Hawai‘i Clean Energy Initiative. For the past decade, she has fought hard to reestablish industrial hemp as an important local, as well as national crop. She co-sponsored the Industrial Hemp Act of 2014 and was instrumental in establishing the industrial hemp project at the University of Hawaii. She has successfully fought against legislation exempting state and county projects from environmental review and county zoning. Representative Thielen is also a member of the Women’s, Keiki, Kupuna and Local Food Caucuses, and sponsors bills to protect Hawaii’s environment and to improve the quality of life for Hawaii's women and children. Representative Cynthia Thielen attended Stanford University, Case Western Reserve University, and the University of Hawai‘i, graduating with a degree in law. She is a founding member of the UH Law Review. Kailua Beach Adventures (KBA) is located in Kailua, Hawaiʻi and specializes in kayaking, stand up paddling, and beachwear. Starting as a small windsurfing venture in 1982, “Kailua Sailboard Company”, has grown into an industry leader of kayaking and stand up paddling in the waters off Kailua. Customer preparation, natural resource preservation, and sustainability within the Kailua community are the driving forces behind all of KBA’s practices. KBA’s persistent work to adhere to their strong sustainability model is evident in their long list of accomplishments. An incredibly striking way that Kailua Beach Adventures advocates the preservation of Kailua Bay to customers and the community is via the Kailua Bay Learning Center (KBLC), funded by a Hawaiʻi Tourism Authority Natural Resource Grant and support from Alexander and Baldwin. The 750 sq ft KBLC hosts 7 museum‐style exhibits including Hawaiian Monk Seals, Marine Debris, and the Kailua Watershed, which rental customers are required to view and the public is encouraged to explore. The KBLC has hosted remarkable guest speakers during the lively Econight series including those from the Hōkūleʻa Crew, Sustainable Coastlines, Kōkua Hawaiʻi Foundation, and NOAA scientists. Ultimately, the character of Kailua Beach Adventures shines through its team of staff who share the passion of preserving Hawaiʻi’s flora, fauna, culture, and community. They truly believe that preservation is conducted through human connection, showing and sharing with all who set foot in the business. Every day of work is a beach cleanup, when KBA tour guides are encouraging guests to join them to mālama ʻāina. Many of KBA’s staff were born and raised on Oahu, offering generational knowledge and a deep rooted relationship with this island. Several employees were chosen to strengthen the program due to owning degrees such as Marine Biology and Recreation Resource Management. KBA has even supported staff in transitioning to full‐time conservation careers. KBA is committed to maintain strong partnerships with organizations that promote sustainable lifestyles, such as The Kōkua Hawaiʻi Foundation, Sustainable Coastlines Hawaiʻi, The Surfrider Foundation, and the Hawaiʻi Ecotourism Association. Due to their generosity, time and effort, KBA has become a better company. KBA operations has greatly reduced its carbon footprint, and has been provided so many opportunities by these organizations to learn, grow, improve, and connect with the community. Kailua Beach Adventures honors and cherishes its place and role on this island home of Oʻahu. Greg Long is probably the most celebrated big wave surfer in the world, yet is one of the most humble of surfing legends. Greg is only 32, but he has been awarded almost every title in the big wave riding arena, including several XXL Global Big Wave Awards including Biggest Wave, Ride of the Year and Performer of the Year. 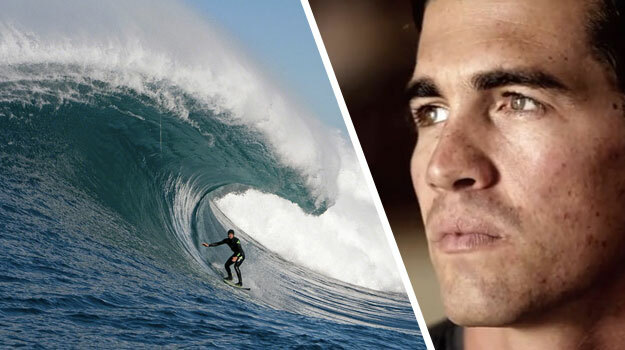 He is the only surfer to win all three of the sport’s premier big wave competitions, including “The Eddie” at Waimea Bay. In 2013, he was crowned Big Wave World Tour Champion. His accolades include the following: the SIMA “Waterman of the Year Award”, a National Geographic “Adventurer of the Year” nomination and the runner-up placing on Men’s Journal magazine’s “50 Most Adventurous Men.” In 2012 Long was featured in the Fox Pictures release “Chasing Mavericks” as both a stuntman and character, and he had the starring role in the 2014 ESPN adventure series “Big Wave Hellmen”. Despite fearlessness in danger waves, Greg Long hardly fits the stereotype of the extreme athlete who pushes himself to the edge in search of photos and video clips. But it’s his love of exploration and adventure that has taken him around the globe to remote coastlines, riding giant waves alone, or with a few close friends, far from the cameras and limelight. A thoughtful and shy guy, Long has become one of the sport’s most articulate spokesman. He works with a number of ocean-oriented environmental groups, including The Surfrider Foundation. He has also served as a volunteer/ambassador with Surfrider and other organizations like Surfers Healing , which offers unique “surf therapy” to autistic and ‘special needs’ youth. He enjoys sharing his love of the ocean and the need to protect our coastal areas.